Let’s face it: Unless you’re a minimalist, moving is one of the biggest household tasks there is and it can be extremely overwhelming. But if you can get a head start and stay organized, you should make it through this mammoth process unscathed and ready to enjoy your new abode. Here are 21 tips to help you avoid moving day chaos. How are you going to get from point A to point B on moving day? For shorter moves, you’ll either need to assemble some very nice friends with trucks or consider renting a truck for the day. 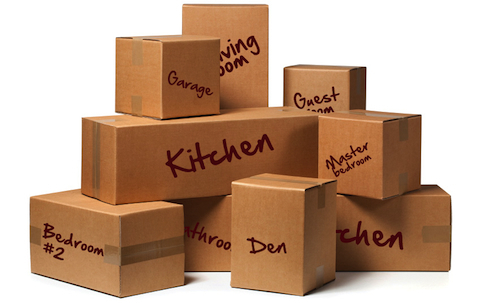 If you have a big family to move or you’ll be moving a long distance, you’ll want to price out moving companies. 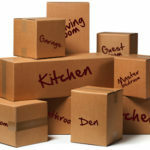 Boxes are one thing, but when you get to the big, heavy stuff, it’s important to let your movers know what to expect. “Communicate with your moving company and explain all the requirements and expectations prior to booking,” advises Andrew Ludzeneks, founder and current president of iMove Canada. 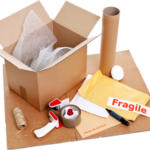 “Your mover has to be aware of all those minor details in order to estimate your total move time and cost, and have proper equipment available.” That includes informing the company about any overweight items (i.e. a piano or fridge), access restrictions (small elevator, walk-up only, narrow driveway) and whether you’ll need help with disassembly or assembly of furniture. • In general, the contents of bachelor and one-bedroom apartments will fit in a 16′ cube truck available at your local rental company. You need to take your luggage with you. Why not use it as a box? The same goes for dresser drawers. You may need to remove them for transport, but if you don’t have too far to go, they can be helpful for light items. “For delicate apparel that you don’t want to fold, using a portable wardrobe box is the way to go,” recommends Andrew.